People ignoring stop signs – it has been a problem for quite some time now and residents are getting frustrated and upset by motorists who do not obey the rules of the road. Community members are complaining about numerous motorists who do not stop at a stop sign and ignore other motorists. The problem is persisting and can easily lead to an accident. During peak time, especially when parents are taking their children to and from school, motorists are doing as they please with little or no traffic police visible. Is it not the responsibility of the traffic officers to be present during these busy times of the day? Why not patrol close to the schools or in the areas where the traffic volume is high? There has also been reports of taxi drivers who are taking children to school. 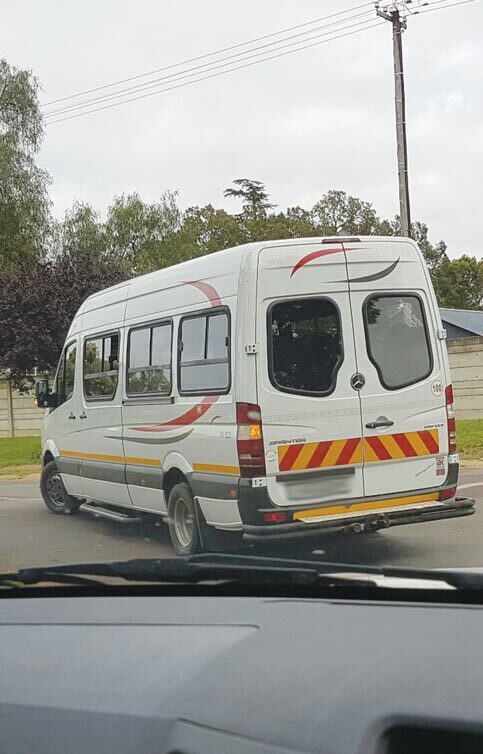 A photo has been sent to the Excelsior News of one of the taxi drivers who does not stop at the stop signs and ignores other motorists. A complaintant mentioned that this specific driver was seen busy removing his vehicle’s number plates. Why? A community member, who confronted the driver, stated that he is rude and irresponsible. Bear in mind that this man is transporting children to school and possibly back home later. Who is to blame if this man causes a huge accident where the children get injured or even worse …die? Is it not a parent’s right to know if their children are in danger when travelling to school? Should the public start to name and shame these individuals? The best solution will be for the traffic departement to intervene and set an example for other road users. It is not only the passenger lives in a taxi that is at stake, but also other motorists as well as pedestrians. Please follow the rules of the road. Wear your safety belt, do not talk on your cellphone while driving and PLEASE stop at the stop signs! The Head of Traffic, Mr M. Msibi, has been contacted regarding this matter on Monday, the 23rd of January. He stated that they are aware of the numerous complaints and are currently deploying more traffic officials to various areas. If a community member has a complaint or want to report an incident, please contact Mr Msibi on 076 562 0956.